We have a diverse range of properties in most areas of Christchurch. Matching the right tenant with the right property is so important for both the landlord and the tenant. Rent Right prides itself on proactive communication and is dedicated to providing an easily managed rental agreement for tenants. We want you to be settled and happy…. Let us help you find your special home as quickly and easily as we can. Click here to complete a Tenancy Application Form. At Rent Right we pride ourselves on getting the match between home and tenant pretty much spot on. We offer top quality properties and want top quality tenants to live in these special homes. We pride ourselves on offering a wide selection of well-appointed, well-maintained and comfortable rental properties of a high calibre, and will go above and beyond to make sure you get what you are looking for. You are important to us…. Providing a personal, prompt, friendly and professional service are our aims and we pride ourselves on putting the service back into customer service. Rent Right won’t waste your time showing you unsuitable properties that are out of your price range or not in your ideal part of town. We listen and we deliver. Good communication is also of paramount importance to us and you can be sure there will always be someone available if you have any questions or problems. For example, with maintenance matters, we aim to have them sorted as soon as possible – and if that’s immediately, then that’s what we do! We have a stable team of professionals at Rent Right and so you will more than likely have the same person as your point of contact each time you need to contact us. That makes a huge difference in fostering good communication as you are not having to get to know someone new each time you ring. Our expert knowledge regarding the management of rental properties means we can answer your questions with definitive answers (unless it’s a particularly unusual query) so there’s not “left hanging” as sometimes happens with other companies. We are well staffed so that we can resolve matters in a timely manner which also should provide tenants with peace of mind. Rent Right is dedicated to providing an easily managed rental agreement for tenants. Rents are paid according to your rental agreement with Rent Right which is usually weekly, fortnightly or monthly. You will need several forms of documentation when you register with Rent Right – please download the Tenants Checklist here. Matching you with the right property…. We have a diverse range of properties in most areas of Christchurch. Matching the right tenant with the right property is so important for both the landlord and the tenant. Moving into a new home can be stressful and so we want to be sure you are in the right place for you, and will be for quite some time. Click here to fill out and submit a repair request form. Click here to download the PDF from the Real Estate Institute of New Zealand, outlining the advantages of using a property management company that is a member of the Real Estate Institute of NZ (MREINZ). Click here to email us with any change of details. 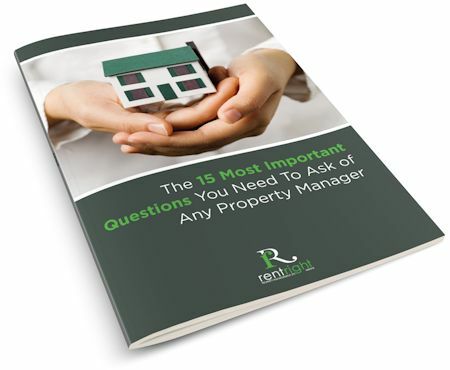 The essential questions you need to ask a property manager BEFORE engaging their services.